What’s really in those Brookside Dark Chocolate Acai with Blueberry sweets? 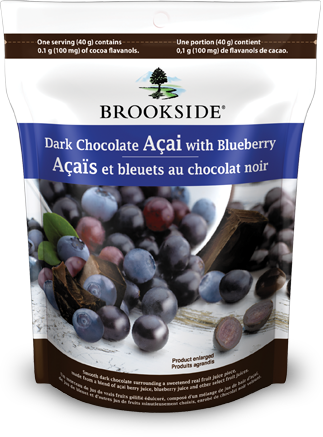 I have a confession to make: I love these Brookside Dark Chocolate Acai with Blueberry sweets. If there was any doubt about the addictive nature of sugar, fat and chocolate, you only need to eat a few of these to know the truth. They’re pretty much the essence of compulsion. When I bought them in the shop I checked the ingredients list to make sure they were gluten-free, and to check for other nasty chemical ingredients. They looked good – no weird stuff, just the usual soy lecithin and whatnot that is in most chocolates and processed food. I started gobbling them down at night. Mama’s little treat, shall we say. And eventually I realized that they are not quite what they seem. After eating so many of them that the inside of my mouth was a little bit raw from sucking the chocolate off the gummy candy inside, (What, you thought that these were actually chocolate covered berries? Look at the packaging again.) I noticed that I felt really, really crappy. I felt like I’d just been glutened, actually. Sore, achy joints, tingling in my fingers, headaches and grouchiness. These sweets are a classic example of the power of deceptive marketing. They look healthy, and even the ingredient list has been artfully crafted to give a healthier image than you’d actually get if they didn’t employ some clever tricks like using 4 different kinds of sugars and 8 different kinds of juices. I highly suspect there are ingredients in the sweets that are not actually on the ingredient listing, but without expensive testing there’s no way to know for sure. Anyway, if there is gluten in them, Hershey is covered by their “May Contain Wheat, Peanuts, and/or other nuts.” disclaimer. Maybe I just felt crappy because I’d overdosed on sugar. But if there are unlabelled ingredients in them, they’d be in good company: apparently 30% of foods being sold in the UK are mislabeled. Yuck. Yet another reason to avoid processed food, no matter how healthy it appears to be. i am often skeptical too, great that you checked! i am unhappy with so much food that is proclaimed to be “super food” coming in small pre-measured plastic packaging too. Goji berries, hemp hearts to name two more. So even though it states on the package that 1 serving contains 100mg of flavanol antioxidants, that’s not true? I have no reason to believe that isn’t true. But just because it has flavanol antioxidants doesn’t mean it’s a healthy treat – it’s also packed with all kinds of sugar. So I landed on your blog post after I searched if Brookside chocolate is gluten free. I experienced the same as you- I feel glutened. My 8yo was begging for a bag after he had a sample at the grocery store. I quickly scanned the ingredients and nothing stood out as containing gluten, so we got a bag…I’m so bummed because these little things are awesome! I’m suspecting the “natural flavors” and “modified food starch.” I’d love to know exactly what kind of food starch it is! Thanks for your post, at least I know I’m not alone. Yeah, the maltodextrin is suspicious for sure. I’m starting to accept that most processed things are risky for me, even if they are certified gluten free. A store here had them as samples. I mentioned that the center wasn’t actually a blueberry. She said” yes they are, the center is a blueberry from South America.” I said no they are a gummy candy. she tried to backtrack, but to no avail. I did not find any claims that these are gluten free. My suspicion is that the natural flavor may be malt flavoring which contains gluten (but not wheat). I too feel weird after eating these – I even bought a HUGE bag at Amazon. I am not sensitive to Gluten and I don’t eat that many but after eating any amount causes stomach aches later in the day. no good! but they are SO good I wish they weren’t bad. I’ll stick to organic dark chocolate no gummies! I hate gummies anyway. that must be it. THANKS glad I am also not alone. I am so glad I found your blog. My wife and daughter are celiacs and I just picked up a bag because they looked great and healthy too. Now – they are not going anywhere near the ones I love. Too bad. Yes, too bad. I’m glad that sharing my experience can help others avoid a food reaction though! When they first came out I thought they were dried whole fruit covered in chocolate. I don’t really care for chocolate and fruit together, except maybe for fresh strawberries. Brookside products are garbage, no better then chocolate covered gummies of any shape. Shame on them for marketing them as being good for you in any way. I just saw a commercial for them a minute ago. This is junk, don’t buy into their marketing garbage, be sure to read labels on what you buy. I just googled “why do brookside chocolates make me so sleepy?” and now I see I’m not the only one. I feel awful after eating them. Out of curiosity, I’ve tried eating just three or four but even a small amount causes a notable reaction, like a tiny bit of anesthesia. Weird. All us celiac disease folks had better steer clear. Very interesting. I too discovered these treats and I was instantly hooked. I can easily eat most of a bag because they are so tasty. However a few months ago I started to develop strange symptoms such as brain fog, headaches, fatigue etc. I do not have celiac disease but I have been trying to maintain a gluten free diet for the health benefits. 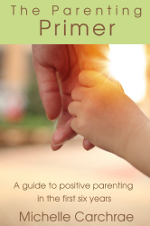 When I refrained from eating them for a few weeks my symptoms disappeared. Is it possible that there is hidden gluten in there? It certainly doesn’t indicate that anywhere on the bag. I am sad to give up these treats but I do believe they are making me ill. I was simply looking for the ingredients and percentages in these wonderful candies, when I saw your posts. I’m learning to be a little more picky about what I eat only from the point of starting some moderation, not elimination in my diet. I have no food allergies. My questions is how could anyone buy and subsequently eat these and even begin to think they would be healthy. If you have food allergies or sensitivities you should just be more careful in what you buy. Don’t knock the candy; DON’T BUY IT. I’m allergic to mold spores so I’m not going to too much wandering into historic houses. I noticed a while back that one of the oils was canola oil. Not sure if this is still the case. However, canola oil is not recognized by the human body as food. Cannot eat these anymore. Despite having a gluten intolerance… I’m definitely going to continue to eat them. They’re too good to pass up. Why give up something because of a mild discomfort. Exercise makes me uncomfortable, doesn’t mean I’ll stop ! It bothers me how little acai is actually in this product. I was gifted a bag and was very disappointed. Very deceptive marketing – huge turn off. I actually typed the key words ” Brookside candy addictive” and reached your blog. I have been buying the Goji and Raspberry dark chocolates and once I start eating them I can’t stop!!! I keep going back to the bag for more. It’s an unnatural reaction as opposed to anything else I eat. Something strange is in these candies. I have a bag on my desk right now and I know if I eat one ,I’m done. Putting it in the closet!!!!!! I know im so late to this post but,man..Wow! i started eating these delicious candies back in nov of last year to the present day. after having them,i notice i would feel full and cramping in my stomach.also when eating them-as the chocolate melts away, the “Fruit” on the inside actually has a very similar taste to sourpatch candy.this in turn ruined my craving for the treat,and i don’t think i will be purchasing them again anytime soon. I have been attempting to eat gluten free for over 3 yrs. now and have even lost most of my gut. I have had stomach issues for all of my life and am also lactose free. For me, eating Gluten free started after eating a slice of pizza and taking my Lactaid pills. After having positive results with Lactaid (I still use Lactaid products), I found that eating pizza gave me immediate stomach issues including bloating. My research should that it may be the gluten so I went gluten free and within two weeks felt so good that I recommend it to others with these stomach issues. Thank you for contacting The Hershey Company regarding our BROOKSIDE product line. These BROOKSIDE products are dark chocolate surrounding a sweetened fruit flavored center which is made with a blend of fruit juice flavors. This product shows the fruit on the package to convey the featured fruit juice flavors in the product. In addition, The Hershey Company’s products may contain ingredients, broadly used throughout the food and beverage industry, produced from crops that were developed using modern plant biotechnology. These include ingredients from common crops such as corn, soy, and sugar beets. If you prefer foods that do not contain ingredients from crops grown through modern plant biotechnology practices, please note that The Hershey Company offers SCHARFFEN BERGER Chocolates, organic DAGOBA Chocolates and HERSHEY’S COCOA Powder and HERSHEY’S Baking Chocolates for baking. I bought a bag and munched through it until I felt sick… I didn’t finish the bag… but I still wanted more. Like a weird addiction… that’s when I looked up the ingredients. This had never happened to me with dark chocolate… and yep it’s not berries, full of sugar and more milk than necessary.. I assume for the caramelized interior. I bought some today. I only ate about 6. My stomach is cramping terribly. I have eaten these before, but don’t recall feeling this bad afterwards. Won’t finish and will toss out the bag. Wont buy again either. I had eaten this brand a while back without incident but then I got terribly sick the next time. I had 5 or 6 pieces from a new bag (it was a different type of berry this time for what its worth). within 15 minutes I started fatiguing and then I got really bloated before things eventually got worse. I can now virtually time my chain of reactions whenever I get glutened and I had nothing to for a while prior so this had to be the source. I have been eating these for over 3 years and have been suffering from major fatigue, brain fog, tingly fingers and toes, shortness of breath, aches and pains everywhere…just a general crappy feeling. I have no health issues and am otherwise healthy. I just noticed tonight that I get these symptoms during and after I eat a serving of chocolate balls (16 balls). Mostly with the Acai and Blueberry flavor! I am ditching this candy and going to switch to the Dove chocolates with REAL fruit! I am writing this note because I just saw the commercial on TV and wanted to see what others had to say. That was last year, I got the big bag at Costco and started eating them believing I was actually eating a fruit, until one day when the chocolate tasted funny to me so I checked the ingredients. I was horrified. No real fruit just flavorings and stuff. I got rid of the bag, still full but opened, at a neighbor gathering where I had to bruit something food.. I was deceived by the packaging as well, thinking the product was actually blueberries covered in chocolate. Untrue. When I bit into the “deception” expecting a soft blueberry, what I got was a broken tooth. I wrote the CEO of Hershey’s and provided a dentist’s $1500 estimate to repair and requested Hershey to cover the expense. I was dismissed and sent a check for $100, basically to go away. I will not. I am on my 3rd letter to Mr. Bilbrey in Hershey, PA. The packaging is deceptive and I believe a lot of negative blogging and Media attention might get their attention. I am going to pursue this. Gosh am I addicted to these things. Can’t stop. I eat 2 + packages a day. I googled ‘why am I addicted to Brookside chocolates?’ There must be some type of addictive ingredient in them :x I am not ashamed!